BERLIN -- About 150 skiers who were stuck on a broken chairlift in central Austria for several hours were rescued safely Monday by helicopters and mountain rescue teams, Austrian police said Monday. 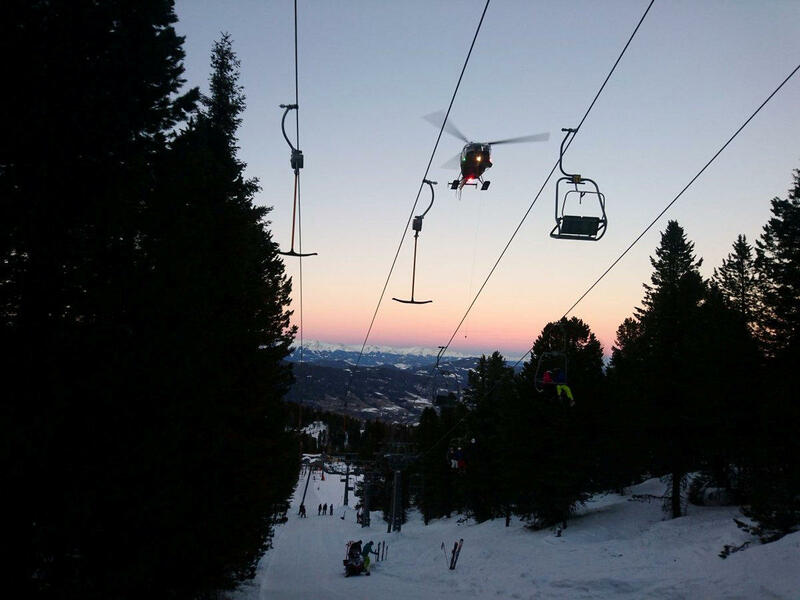 Styria provincial police said on Twitter that all the skiers taken off the Rosenkranz chairlift at Kreischberg mountain north of Klagenfurt were uninjured. The lift stopped working early in the afternoon because of technical problems. Three helicopters and several mountain aid groups were involved in the operation, the Austrian news agency APA reported. Local media reported that it would have taken too long to repair the broken chairlift, so authorities decided to start evacuating the skiers. Authorities informed the stuck riders with loudspeakers in several languages that they would rescue them. Members of rescue teams then climbed up to the chairs from below and brought some of the people down with ropes. Others were lifted up onto helicopters. The stopped chairs were 23-33 feet above the ground. The weather was comparatively mild, so no one suffered any ill effects from cold.